Here is a PDF of the company names in English. Most are obviously Chinese companies, though there appears to be at least one American company listed in the mix, White Stone Corporation Co., Inc. USA! UPDATE 5 (2011-8-22): KCTV produced video footage from the fair. 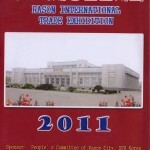 Rason, August 25 (KCNA) — The first Rason International Trade Fair was closed with due ceremony on Thursday. Present there were Jo Jong Ho, chairman of the Rason City People’s Committee, officials concerned and exhibitors of different countries and regions. In a speech a speaker referred to the fact that the fair was successfully progressed and an advance was made in conformity in favor of mutual interests in economy, exchange of science and technology and trade through wide-ranging contacts. Diplomas were awarded to the exhibitors who presented excellent goods at the closing ceremony. Pyongyang, August 25 (KCNA) — Rason City, the DPRK, is situated in an important area which can link China’s three northeast provinces and Russia’s Far East region, both full of natural resources, and many Asia-Pacific nations with each other. Rajin, Sonbong and Ungsang ports in Rason and Chongjin Port adjacent to the area provide good conditions for transit trade for Northeast Asia and other continents. The sea off the ports does not freeze in winter, so they are not subject to seasonal restriction. The reconstruction projects of the Rajin-Khasan railway and Rajin Port launched in Juche 97 (2008) will make it possible to reduce the transport distance from Asia to Europe, sharply cutting down the transport fee. The Rajin-Khasan railway will serve as a transport route between the DPRK and Russia and between Asia-Pacific and European nations. 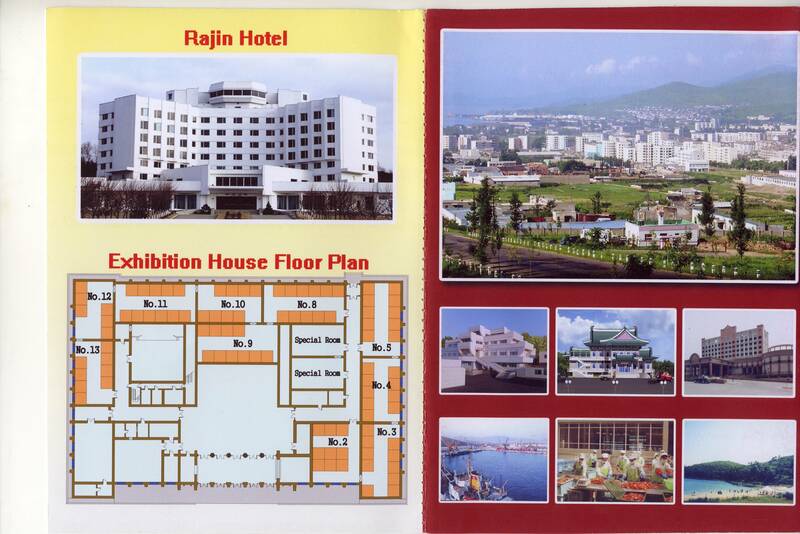 Rason City has seafood, agricultural product and wild vegetable processing bases operated by Korean trading companies. The city also boasts of many ponds, lakes and bays favorable for fresh-water fish culture and offshore farm. Its natural and geographical environment is suitable to an international tourist resort. There are sea-bird, seal and other animal sanctuaries in the area with beautiful islets, like Pipha and Sol. Some foreigners have already launched business in the area and an increasing number of investors are interested in the zone. Rason City with amazing geographical and economic conditions is likely to greatly contribute to the development and prosperity of Northeast Asian nations. See images of the flyer here: Part 1, Part 2, Part 3. Video footage of the trade fair can be seen here. 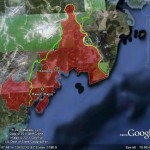 Rajin-Sonbong or “Rason Special Economic Zone” is a co-development project developed by North Korea and China. The Rason SEZ International Product Exhibition is scheduled to take place from August 22nd to 25th — an exhibition targeted to attract foreign investors to the region. According to the KCNA article released on August 14, “The exhibition will display a wide array of items from various countries including vehicles, pharmaceutical and clothing products.” It was said that the exhibition promises be an important event to encourage cooperation and exchange with various countries in trade, economic and science, and technology sectors. This event is expected to not only bring Chinese but also European and other foreign companies into the economic zone, pushing investment into the area. There is also talk of developing Rason into an international tourism zone to attract tourists from China, Russia, and Japan. After the closing ceremony of the exhibition, visits to Rajin Harbor, Mangyongbong ferry, and the amusement park are scheduled in order to provide sightseeing tours for the participants to the exhibition. Mangyongbong ferry, well-known in the past for transporting North Koreans living in Japan back to North Korea, is gaining special attention itself as a new tourist attraction. This cargo-passenger ferry is expected to be utilized further for tourism in the near future, including bringing Chinese tourists from Dairen and other harbors in China to Nampo Harbor close to Pyongyang. In the late 1950s, Mangyongbong ferry began to shuttle North Koreans in Japan from Niigata Harbor to Wonsan Harbor near Pyongyang. From 1984, it was used to transport cargo into Japan, but this was halted in 2006 due to economic sanctions against North Korea which followed in response to North Korea’s missile and nuclear tests. There are two ferries in North Korea with the name Mangyongbong. The Mangyongbong-92 will be introduced in Rajin Harbor to maximize the demonstration effect. The Mangyongbong, weighing 3,500 tons, is much smaller and older and inadequate to be used as a ferry. The Mangyongbong-92 was built in 1992 to commemorate the 80th birthday of Kim Il Sung. The ship was built with funds collected from Chongryon (i.e., the General Association of Korean Residents in Japan). It was estimated to cost over 4 billion JPY at the time, weighing about 9,700 ton with a capacity to hold 350 passengers. On another note, the fourteenth annual Pyongyang Spring International Product Exhibition held this May hosted over 280 companies from 10 countries. 100 Chinese companies participated in the exhibition. Since then, Chinese corporations from Liaoning and Dandong are reported to have placed contract orders worth 800,000 USD. 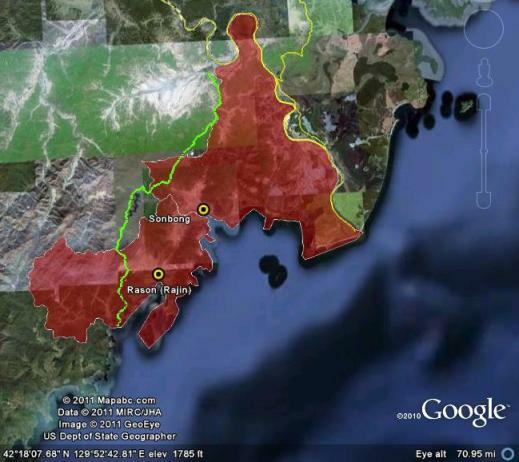 Pictured above (Google Earth): Rason geographic border (in red) and security perimeter fence (Yellow). Pyongyang, August 14 (KCNA) — The first Rason International Trade Fair will be held in the DPRK from August 22 to 25. Vehicles, medicines, garments, etc. 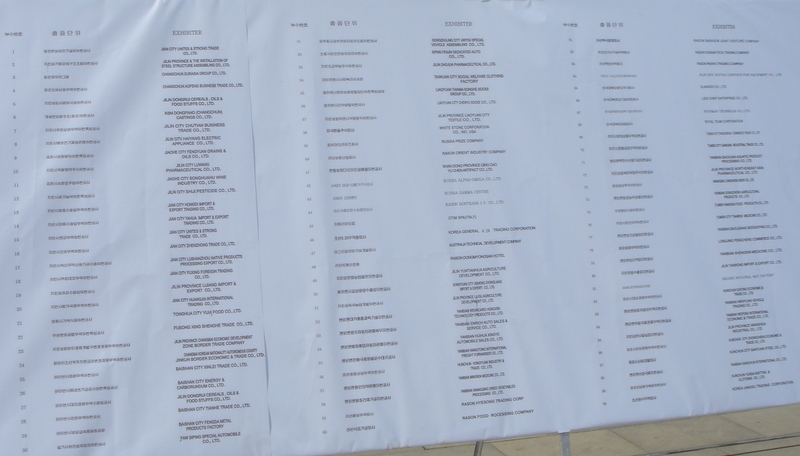 presented by companies of different countries and regions including the DPRK will be displayed at the fair. The fair will contribute to boosting cooperation and exchange among countries and regions in fields of trade, economy, science and technology. 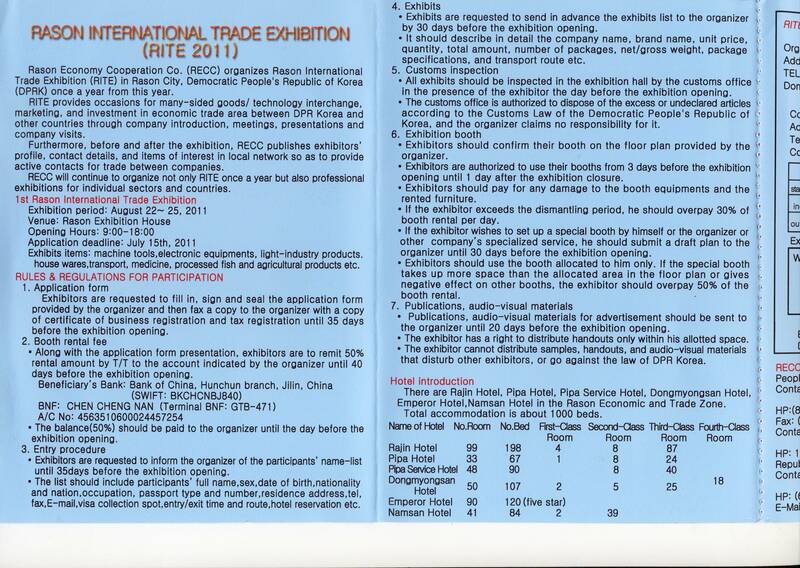 The DPRK is no stranger to trade fairs. By my calculations, the DPRK has hosted the Pyongyang Spring International Trade Fair since 1998 and the Pyongyang Autumn International Trade Fair since 2005. These events, which draw vendors from across the planet, are held at the Three Revolutions Exhibition in Pyongyang. This is the first trade fair of which I am aware that is being held outside of Pyongyang. 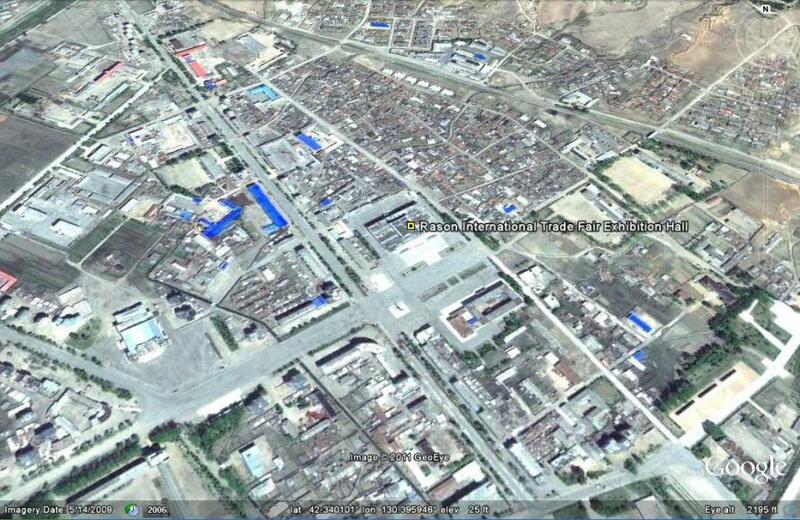 The Rajin-Sonbong area was the site of the DPRK’s first experiment with special economic zones. 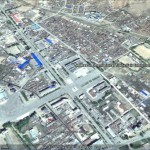 Although it did not generate the expected level of interest, North Korean authorities are hoping that this time around they will be able to capitalize on their proximity to the Chinese market (see here and here). 1. Previous posts on Rason here. 2. 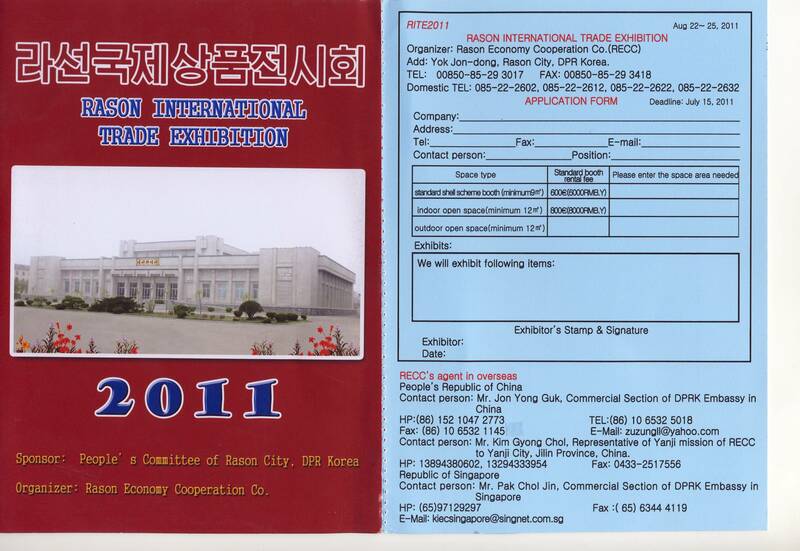 Previous Posts on the Pyongyang International Trade Fair here. 3. The Chinese have been upgrading the road that links the Rason port with the Chinese border. 4. 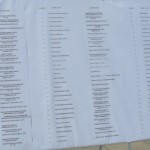 A few days ago I posted a preliminary list of DPRK trade companies published in Foreign Trade magazine. I imagine that more than one of them will have a presence at the trade fair. This entry was posted on Wednesday, October 19th, 2011 at 5:05 pm and is filed under China, Economic reform, Foreign direct investment, Pyongyang International Trade Fair, Rason Economic and Trade Zone (Rajin-Sonbong), Rason International Trade Fair, Singapore, Special Economic Zones (Established before 2013). You can follow any responses to this entry through the RSS 2.0 feed. Both comments and pings are currently closed.